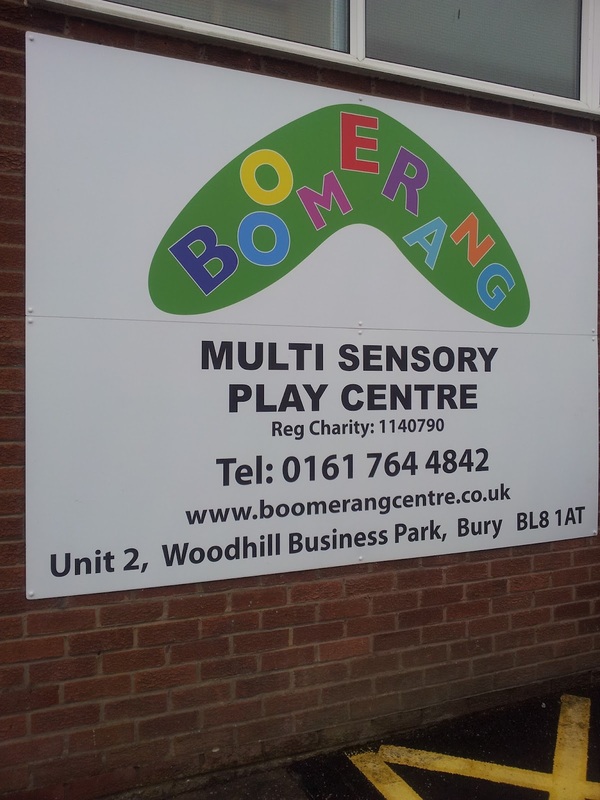 We are huge fans of Boomerang Play Centre, which is located not far from where we live in Bury. Unusually for a soft play centre, Boomerang is a charity. The centre opened, after lots of hard work, in June 2011, to provide a place for all children from all abilities to come and play. The centre is divided into three rooms. There is a beautiful sensory room with a waterbed, a ball pool, and lots of different lights. It is a very calming place to be unless some mother brings their two and half year old monster who insists on doing backward flips into the pool, in which case she should swiftly remove him into one of the other rooms! This is the awesome interactive mat. 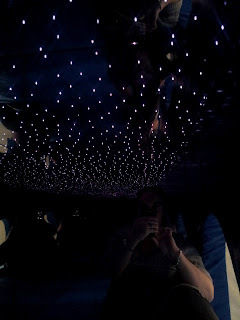 It has several different scenes that come up in rotation, this is a disco dance mat. It also becomes a fish pond, a meadow with flowers, a football pitch and a frog pond, amongst other things. It truly is amazing! The third room has a big play gym, as well as floor play. 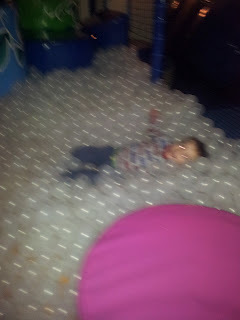 There are xylophones on the wall for music play, a huge ball pool with beautiful clear balls like bubbles and two slides. In the corner is a little cave, a mirrored room with twinkly star lights. I love this little corner, and sometimes Joseph will sit with me and sing "twinkle twinkle". 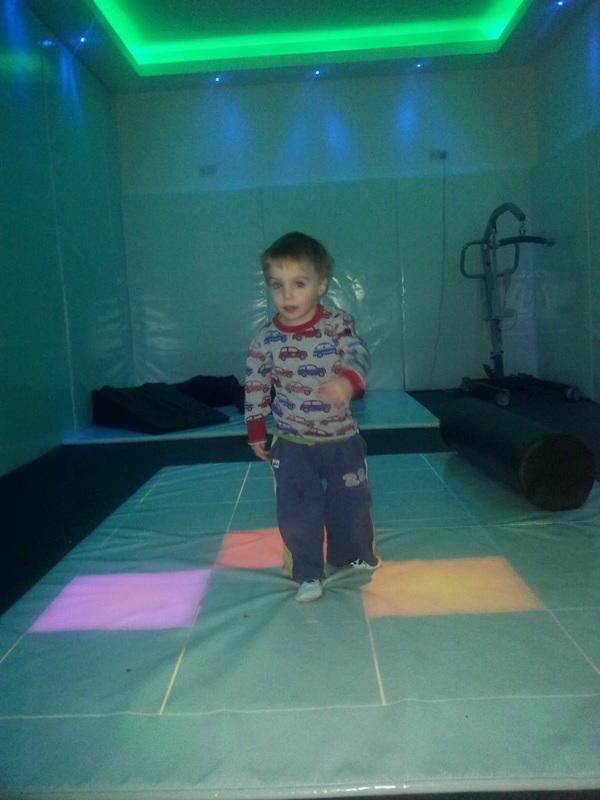 Boomerang is a lovely place to play for all children, not just those with special needs. It's great for babies, and especially babies born prematurely, everything has been carefully thought through. There are ceiling track hoists throughout if your child needs them, and the toilet is fully accessible, with a hospital bed for change times. The seating area is seperate from the play area, so kids are always fully supervised by their parents, which I love. I'd feel very comfortable bringing a baby here, and there were lots when we visited. 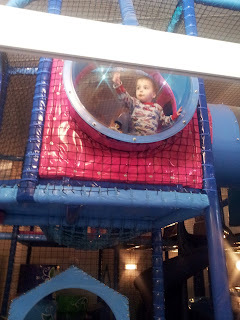 The cafeteria is exceedingly reasonably priced, and there are things for the children to do whilst you have a lovely hot coffee. The kids food choices are very good as are the adult ones! Entry is £4. At busy times there is a limit of one hour, and you are advised to ring in advance as sometimes the centre is booked for exclusive use, or some rooms are out of action with private bookings. Boomerang Play 0161 764 4842. This is a non-sponsored post, we just love Boomerang! What an awesome playcentre and wonderful it's a charity too! Gorgeous boy!